Living in midtown Manhattan, particularly close to the MANY bars that stretch along Second Avenue, I generally hide from the masses on St. Patrick’s Day (which was celebrated yesterday in midtown). Before you criticize me for not celebrating my heritage or being old, let me stop you right there! Unless you’ve dealt with the drunk populations that take over midtown, witnessed multiple puke sightings, or had some creeper dressed head to toe in green flick his tongue at you while slurring “Kiss me baby, I’m Irish!”, you really can’t judge me! Indeed, my days of being part of this debauchery have long passed….and if that makes me old, so be it! 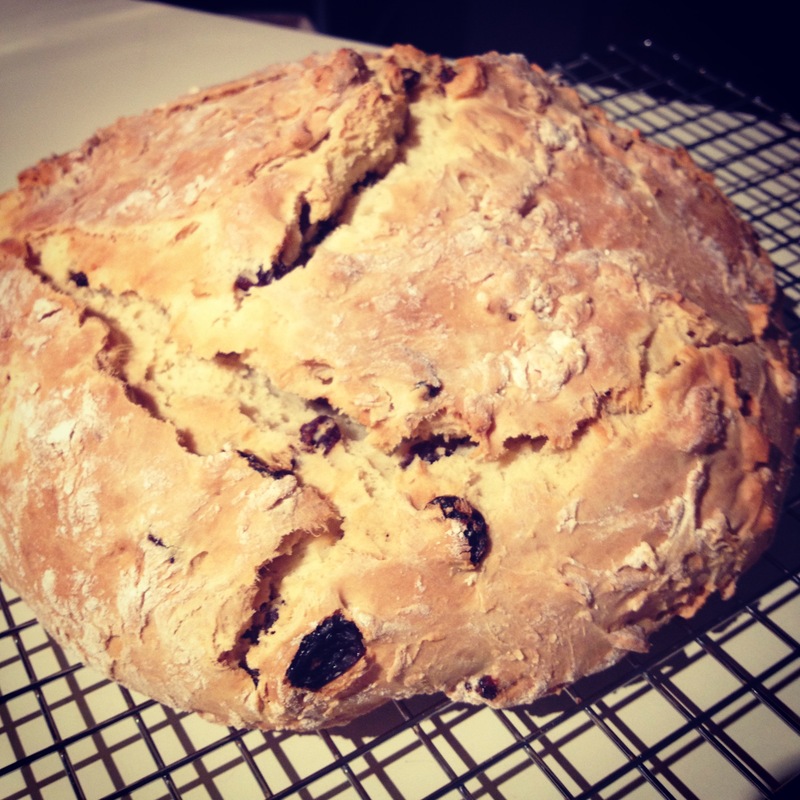 Adjectives aside, my first attempt at Irish Soda Bread was not the disaster I had mentally prepared myself for. And while I still think the Chef would have choked down the bread no matter what, he actually seemed to enjoy it. I mean, can you really complain about warm soda bread with butter and jelly in bed? Or at least the unnatural/adorable effort it took to make it? !